Once you have opened the door to discover the 100th Elsa and had to feign what a unique costume it is you are gonna want a drink. This margarita is the perfect combo of taste and “spookyness.” I do not enjoy some of the cocktails I have seen on Pinterest that have a fake finger or something hanging out of it. This drink is great all the time but the blood name and color give it a little extra something for Halloween. 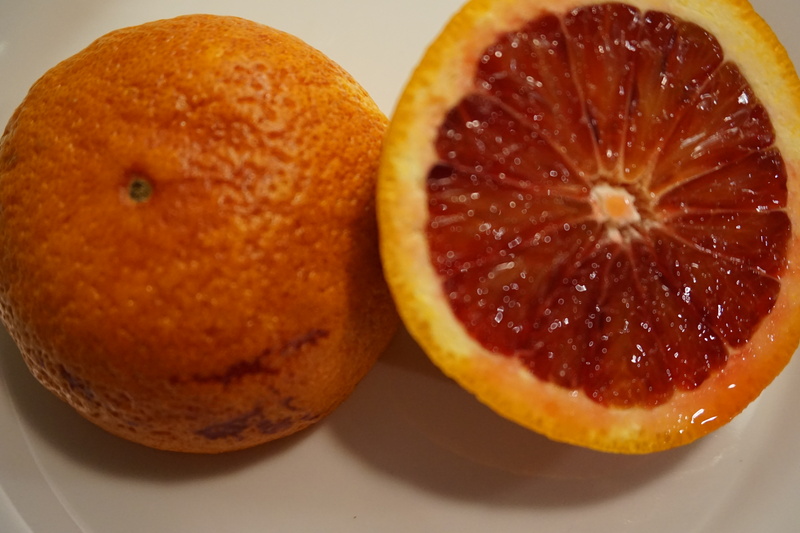 Fresh squeezed really is best and just around now you can start finding blood oranges in the stores. If you have never had one they are slightly more bitter than your average orange and so delicious. Knock a couple of these back with the Turkey and Pumpkin Chili and you will have a great Halloween. We are going to post up on our porch with our giant bags of Costco candy and this incredible pumpkin keg (tip of the hat to my friend Kevin). Take a look at my instagram feed to see if it works out and happy hallowen! Mix all the ingredients in a cocktail shaker with ice until cold. Serve straight up in a glass rimmed with chili salt.